VIEW OF CITY, MOUNTAINS. 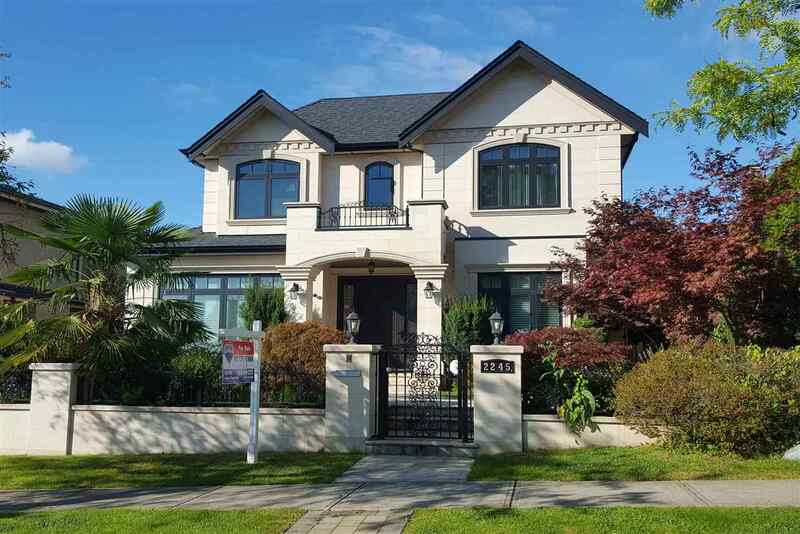 BEAUTIFUL MAGNIFICENT CUSTOM BUILT HOME IN CAMBIE LOCATION. 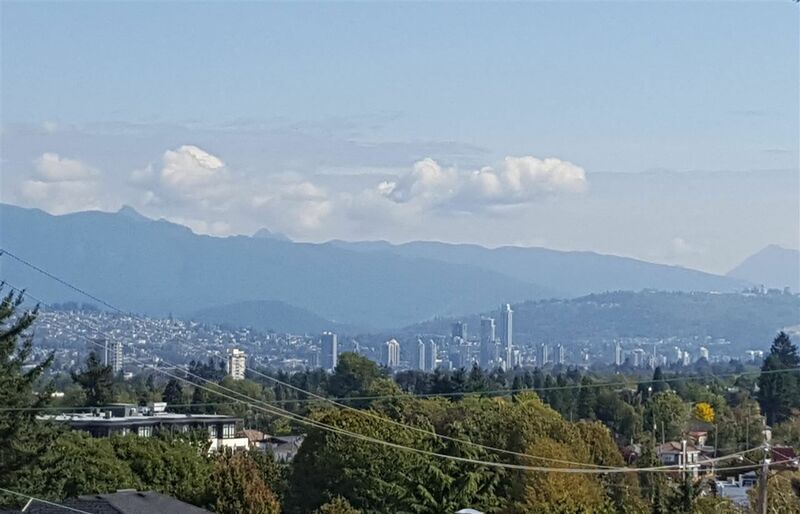 Steps away to QUEEN ELIZABETH PARK, OAKRIDGE MALL, SKY TRAIN, BUS, GOLF COURSE, SHOPS, RESTAURANTS. CLOSE TO ERIC HAMBER HIGH SCHOOL, YORK HOUSE PRIVATE SCHOOL, UBC. Over 4,510 sq.ft. sits on HIGH SIDE OF STREET with beautiful landscaped lot 47x113.75 (5,346 sq.ft.). This home simply offers supreme finishing with full attn. to detail. Extensive used hardwood floor thru out. Grand foyer With high ceiling open on to living & dining rooms, 8 bedrooms, 7 full baths, 2 of 1/2 baths, den. Large gourmet kitchen With high-end cabinetry & appliances. WOK KIT, HOME THEATRE, WET BAR, STEAM SHOWER, RADIANT FLOOR. HEATING, A/C, HRV, secured private yard with park-like garden. 2 LEGAL 2 BEDROOMS SUITE AS MORTGAGE HEPLER. MUST SEE! 西區至尊超值高尚全新氣派豪宅。觀看山景，地大47 x 113.75 ( 5,346.35呎) 。共7房+書房，7.5浴。採用頂級建材精心打造，風格及溫暖色調給人高貴之氣派，優雅和奢華的感覺，主層高挑樓底，氣派門庭，精細雕工，大氣奢華感十足。美食中西廚房選用頂級廚具及電器，花崗石廚台，格局完美。 擁有地熱、中央空調、清新換氣系統、保安系統、家庭影院。配有安全柵欄包圍。地庫有2房出租單位 (有獨立門牌)，車房屋 配有2房單位 (有獨立門牌)，亦可出租。鄰近 ERIC HARMBER 中學IB 班、SIR WILLIAM VAN HORNE小學，入讀優秀名校YORK HOUSE、CROFTON HOUSE 和 ST. GEORGE’S 私校，UBC。鄰近渥烈治商場、加拿大缐捷運站以及伊麗莎白女王公園僅幾步之遙。購物交通方便的最佳组合!